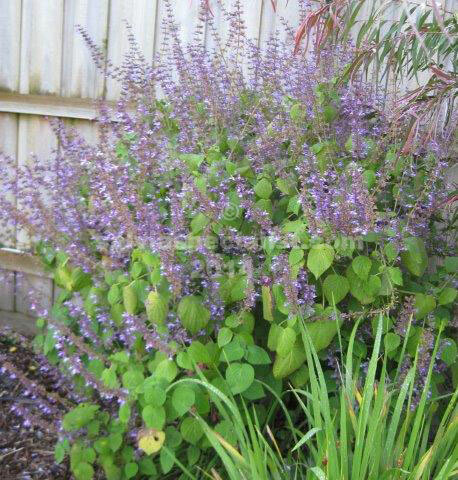 Myriantha is yet another sage found from Oaxaca, Mexico to Guatemala liking warm and moist conditions. It grows about 2m x 2m so is bulky, and quick growing. It is best suited to sub tropical and tropical parts of Australia though I grow it in Albury with some frost protection. Perhaps one of its best points is that it is winter flowering and blue or mauve although in Australia we are starting to get a cerise variation. Myriantha is easy enough to grow from cuttings but would have come into Australia originally by seed.